The economic impact of the Holiday and Poinsettia Bowls on San Diego. The #SaveOurBolts campaign is all about saving the San Diego Chargers and keeping them in San Diego. Without the San Diego Chargers we will most likely lose Qualcomm. However, what would happen if we lost the Chargers to LA? Would we lose San Diego State Aztec Football? Would we lose the Holiday and Poinsettia Bowls? How big of an economic impact do the Holiday and Poinsettia bowls make on the City of San Diego during the winter months? We will dive into these topics in todays media update. Here is some good news for San Diego State Football and bowl game enthusiasts. “San Diego State has a lease with the city for use of Qualcomm for four more seasons, through 2018, and the Holiday and Poinsettia bowls are about to finalize a new three-year lease through 2017.” – Tod Leonard of UT San Diego (Click for link to his article). Now what happens if the Chargers have left San Diego and the Aztecs/bowl games are the only major tenants of Qualcomm Stadium? Qualcomm Stadium would most likely be torn down after the 2018 San Diego State Football Season. San Diego State pays about $20,000 per game to rent Qualcomm Stadium and about $120,000 per-season (six games). San Diego State would then have to look into building their own football stadium. What would the price tag look like to build San Diego State a football stadium? That is a great question. The price tag would range from $200,000,000 (Million) to around $350,000,000 (Million). Which is a lot more doable than the purposed Chargers stadium that would cost over $1 BILLION. This is a last resort and we hope that San Diego can #SaveOurBolts and we don’t have to go down this road. Today SanDiegoBowlGames.com published their new report about the economic impact of the two late fall games and how those affect our San Diego region. 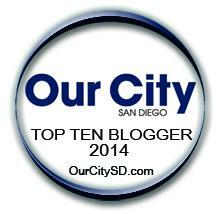 San Diego is beautiful year round but tourism slows down in San Diego During the winter months. An estimated 30,866 hotel rooms were sold during the two bowl games. An estimated 48,284 fans came to San Diego to support their teams during the bowl games. 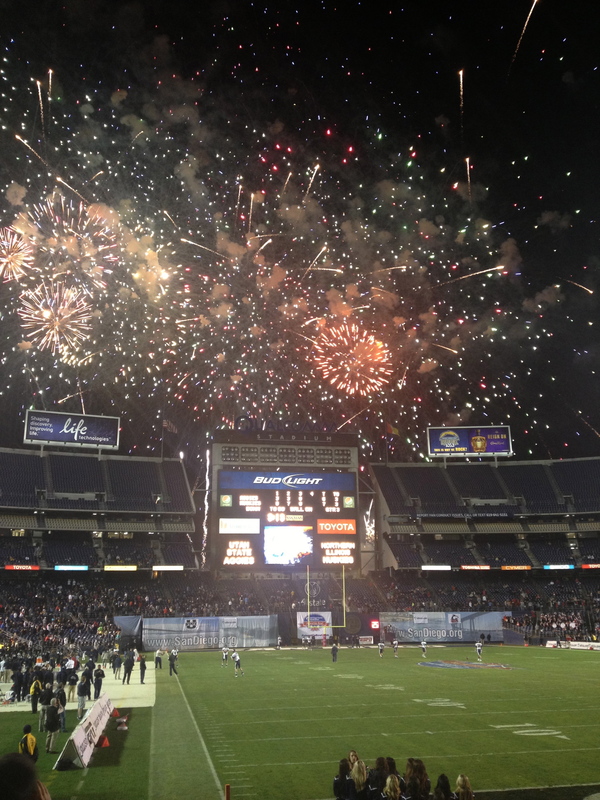 The combined economic impact on San Diego from the 7th annual National University Holiday Bowl and the 10th annual San Diego County Credit Union Poinsettia Bowl was a combined $35.3 MILLION. It is clear that all of the San Diego Sports team who utilize Qualcomm need to fight and #SaveOurBolts. 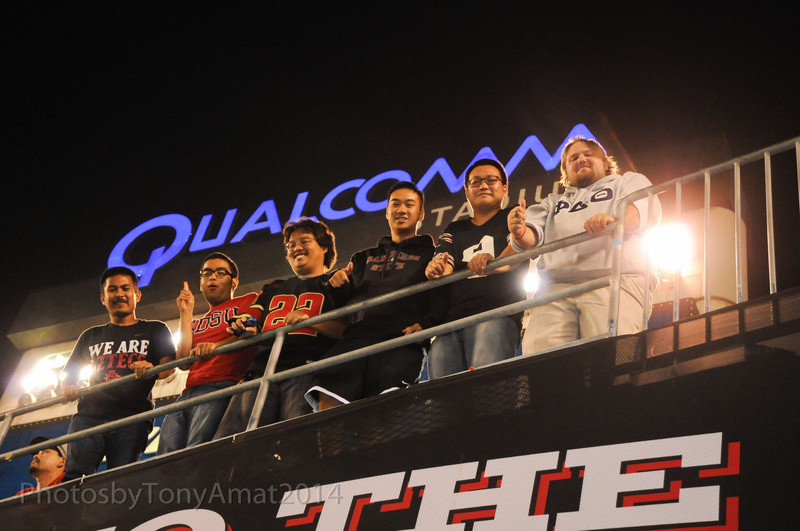 Qualcomm plays a major role in bringing money and sporting events to San Diego. A new stadium in San Diego would bring millions of dollars to San Diego County in the form of; ‪Chargers‬, Aztecs‬, Poinsettia Bowl, Holiday Bowl, Super Bowl, Olympics, NCAA Football Championships, Possible NCAA Basketball Championships,World Cup, MLS, Numerous JOBS, Tennis tournaments and many more events that are sports related. You could also bring back the USA Rubgy 7’s Tournament that moved to Las Vegas from San Diego. 1 Comment on Save our Bolts = Save our Aztecs = Save our Bowl Games? They could play the Bowl games at Petco Park if the Q gets torn down. Should be no problem, no baseball that time of year. They have easily fit a rugby field into Petco and they hold a Bowl game at Yankee Stadium every year. The field is plenty large enough. No concerns.